In the beginning of June I posted a video tutorial about Thor hammer icon. I forgot to add the post about Avengers icon set. So I am correting my mistake and adding the post now. 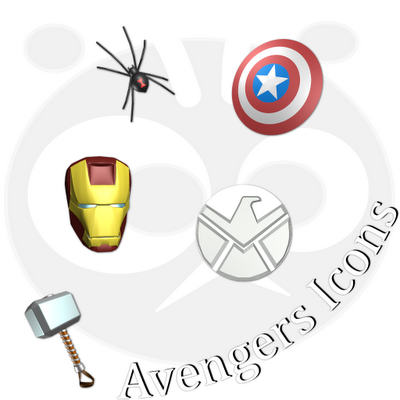 The set includes some of Avenger hero symbols - Thor's Hammer, Captain America shield, Black Widow spider and Iron Man mask - and the symbol of SHIELD organization. My favorite from this set is the Iron Man mask. This icon is most complicated too. I spend 2 days just thinking how to create it in 3D of RealWorld Icon editor. 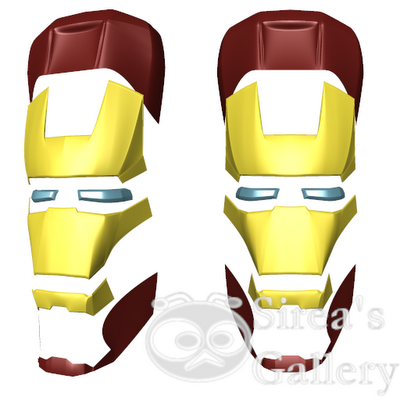 On the picture below you see parts from which is the mask composed. I used only rectangural surfaces.